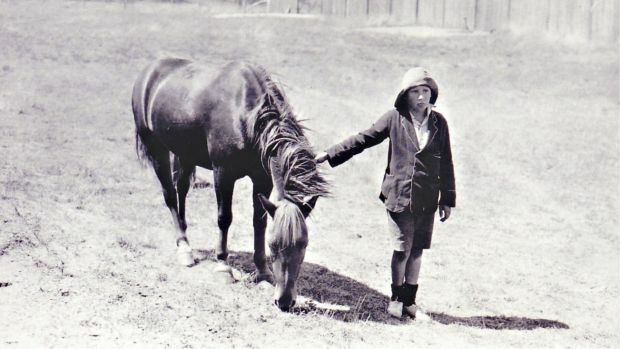 A farmer's son's horseback ride to Sydney for the opening of the harbour bridge captured the Depression-era public's imagination. In 1932, nine-year-old Lennie Gwyther dreamed of being on the spot for the opening of the Sydney Harbour Bridge. The fact that he lived 1000 kilometres away in Leongatha, in south-eastern Victoria, didn't faze him. A new book tells the true story of how one February day, with his parents' blessing, he set off on what was to be a four-month odyssey with his pony, Ginger Mick. The book Lennie the Legend: Solo to Sydney By Pony, to be published by the National Library of Australia on February 1, tells how Lennie was feted at towns he and Ginger Mick stopped at such as Lakes Entrance, Cooma, and Bowral.